The Year in C-SPAN Archives Research presents the finest interdisciplinary research utilizing tools of the C-SPAN Video Library. 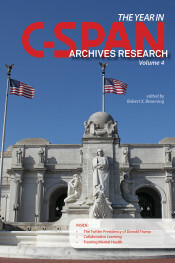 Each volume highlights recent scholarship and comprises leading experts and emerging voices in political science, journalism, psychology, computer science, communication, and a variety of other disciplines. Each section within each volume includes responses from expert discussants. Developed in partnership with the Brian Lamb School of Communication and with support from the C-SPAN Education Foundation, C-SPAN Insights is guided by the ideal that all experimental outcomes, including those from our American experiment, can be best improved by directed study driving richer engagement and better understanding. 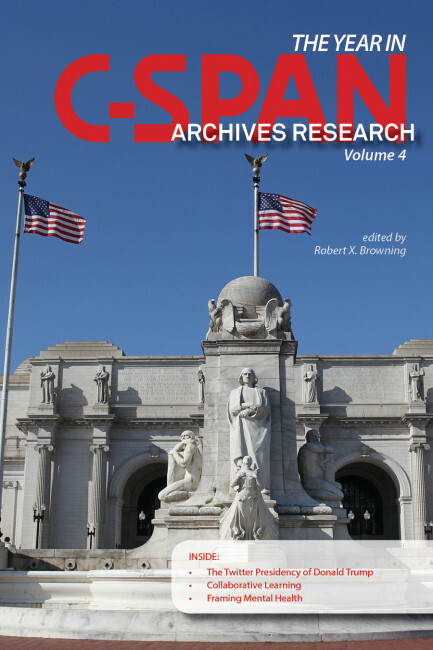 The Year in C-SPAN Archives Research—Volume 4, edited by Robert X. Browning, advances our understanding of the framing of mental health, HIV/AIDS, policing, and public health, and explores subjects such as audience reactions in C-SPAN covered debates, the Twitter presidency of Donald Trump, and collaborative learning using the C-SPAN Video Library.